Roaring Riches, well, from the title one can just tell what to expect when spinning the five reels of this slot i.e. some pretty impressive and gigantic payouts! To stand a chance of winning these gigantic payouts, all you have to do is to play this game. To play the game, simply set in motion the slot’s five reels that come with 100 paylines. The background of this slot depicts simple yet elegant red and yellow colours. The reel section is covered by a brown and gold colour so it sets off the games theme nicely. When spinning the five reels of Roaring Riches, players will encounter the following symbols: an old man, gold bars, Dollar sign, golden coins, lucky sevens and traditional poker symbols. Old Man: The highest paying icon in this game is the old man. For matching five of these the player wins 500 coins, for matching four of these the player wins 100 coins and for matching three of these the player wins 50 coins. Gold Bars: The second highest paying symbols in the game are the gold bars. For matching five of these the player wins 400 coins, for matching four of these the player wins 100 coins and for matching three of these the player wins 50 coins. Dollar Sign and Golden Coins: The third highest paying symbols in this slot are the golden coins and the Dollar sign. For matching five of the same kind the player wins 200 coins, for matching four of the same kind the player wins 75 coins and for matching three of the same kind the player wins 5 coins. Lucky Sevens: The fourth highest paying symbols are the lucky sevens. For matching five of these the player wins 150 coins, for matching four of these the player wins 50 coins and for matching three of these the player wins 5 coins. Traditional Poker Symbols: These symbols are the lowest paying symbols in the game. For matching five of the same kind the player wins 100 coins, for matching four of the same kind the player wins up to 40 coins and for matching three of the same kind the player wins 5 coins. Wild: The wild is represented by the train icon. Scatter: The scatter is represented by the Roaring Riches game logo icon. The scatter at all times carry a random multiplier and when involved in a winning combination, the multiplier is applied to the win. 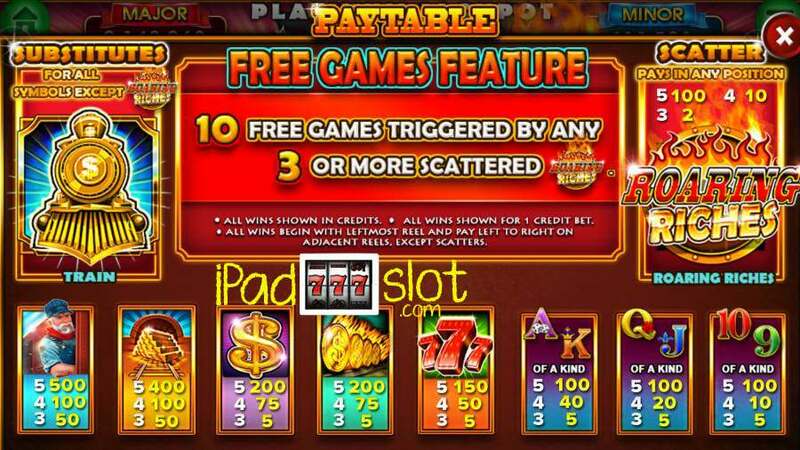 The Free Games Feature is triggered when the player lands at least three scatter symbols. In return, the player is awarded 10 free games. Free games can be retriggered – awesome! Roaring Riches slot game has three progressive Jackpots. All jackpots can be hit at random. 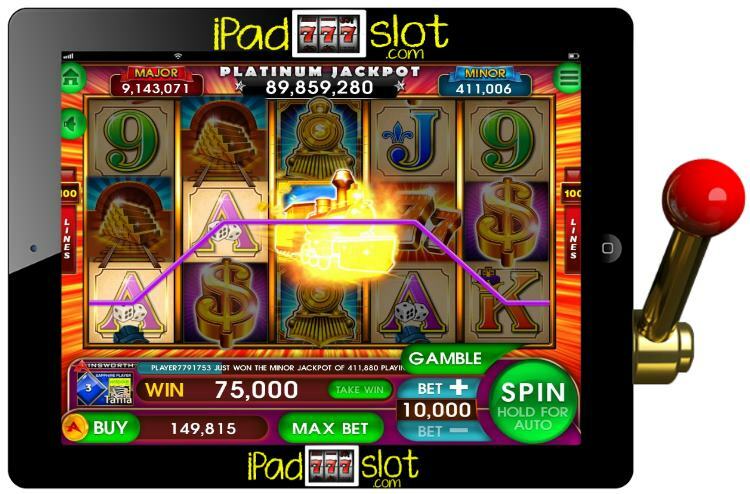 The first jackpot is the Minor Jackpot whose prize pool rises above 420,000 coins. The second jackpot is the Major Jackpot whose prize pool rises above 9,200,000 coins. The last jackpot is the biggest one i.e. 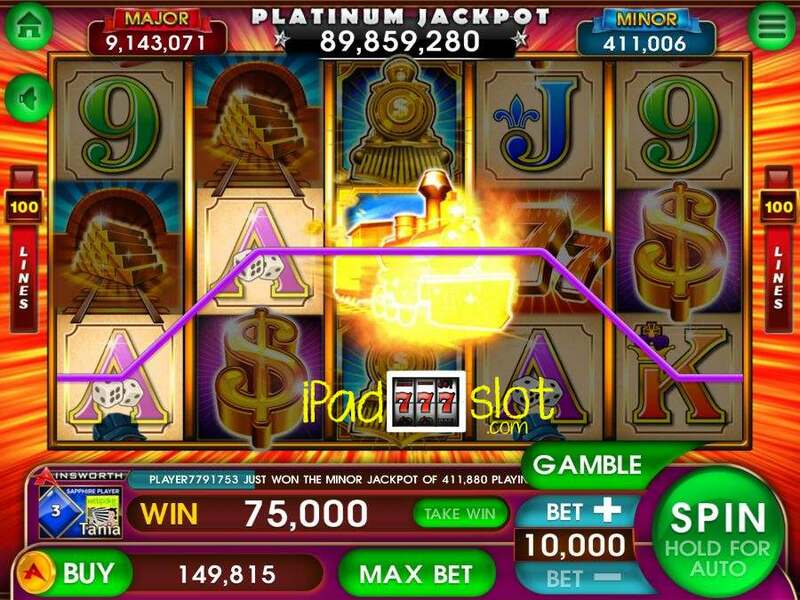 the Platinum Jackpot whose prize pool exceeds 67,000,000 coins! Roaring Riches is an easy and possibly high paying slot game which is fun to play. Out of a 10 point rating, this online slot gets a 8.3 points rating out of 10 points. The game is mobile friendly meaning that players can enjoy the game on the go for free fun or some serious moolah.